Today, three Native American tribal leaders were forced back into court after years of failed negotiations with the government. Members of the Cascade and Klickitat Tribes of the Yakama Nation, as well as the Confederated Tribes of the Grande Ronde, sued the government after it bulldozed sacred burial grounds, then spent the last two and a half years in dialogue seeking an agreement. For centuries, Native Americans have gathered food and medicine and buried their dead in the forests surrounding Mount Hood. 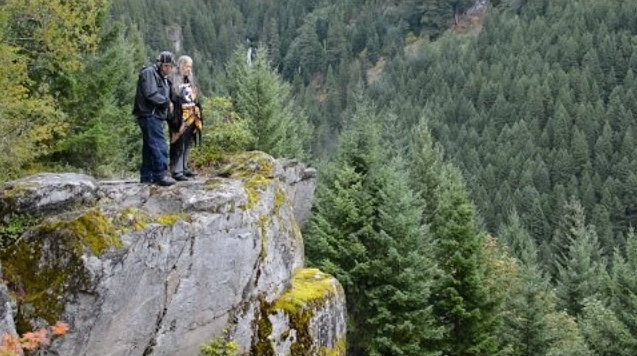 Tthe Oregon Department of Transportation announced plans to bulldoze sacred burial grounds, ignoring the pleas of local tribal leaders. Responses to "Government Bulldozes Sacred Native American Burial Sites"
Is there nothing we can do? I am upset and angered by the government's TOTAL lack of empathy and concern!!! TERRIBLE NEWS!!! The government is wrong, so wrong. It seems they are always talking about everyone's rights except those who live in this country. THE USA HAS NEVER, NEVER WILL KEEP ANY TREATY/PROMISE TO/ANY BODY. THEN US CITIZENS WONDER WHY IS THAT THE WORLD HATES THEM? When I see these articles, my heart becomes very heavy and sad. I do believe, however, that when the Creator asks those persons who are/were responsible for taking care of the ancestral grounds - He/She will be able to understand and forgive those who tried to stop the white man. The Creator is quite aware of the hate that is within some people. I believe Love will prevail. We do what we can to care for Mother Earth. Those who fail Her, will one day experience understanding also. Peace be with you. And they left the other side untouched...what a shameful thing you've done for a highway, Oregon.